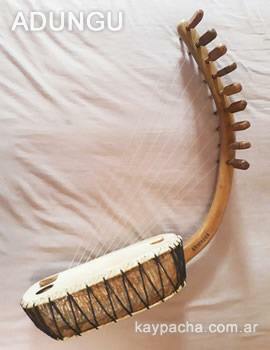 Adungu is a stringed musical instrument from the Alur people of northwest Uganda. 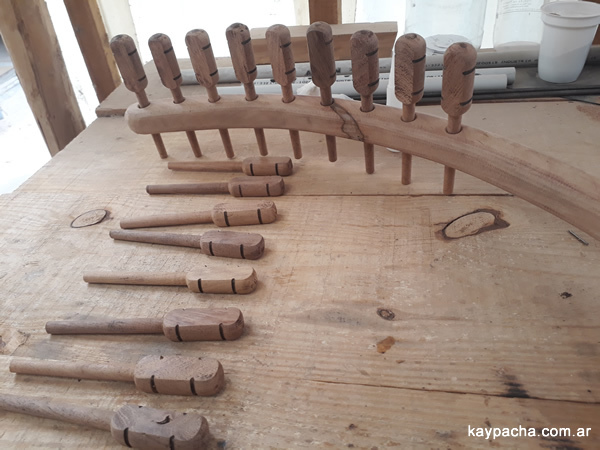 It is an arched harp of different dimensions, ranging from seven, nine, eleven and more strings normally tuned on a diatonic scale. 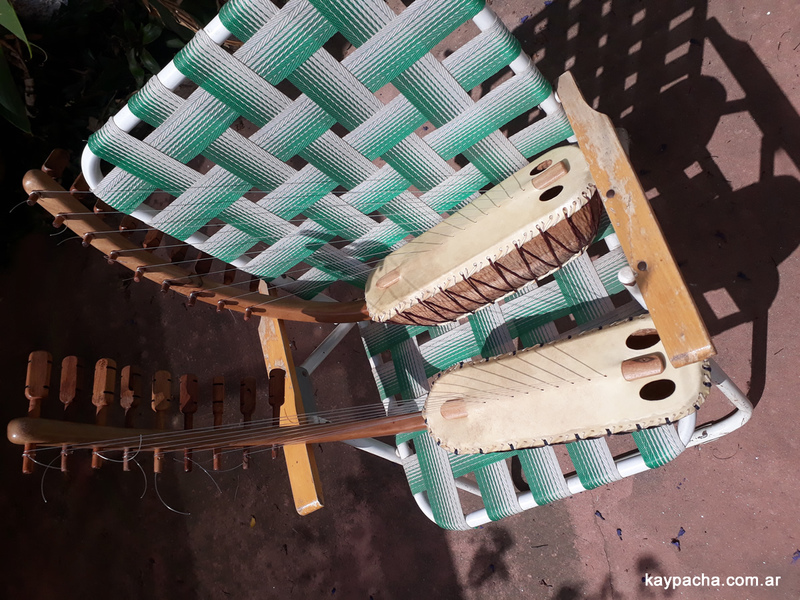 The body is a hollow wooden box with leather cover, arm and wooden dowels, nylon ropes. 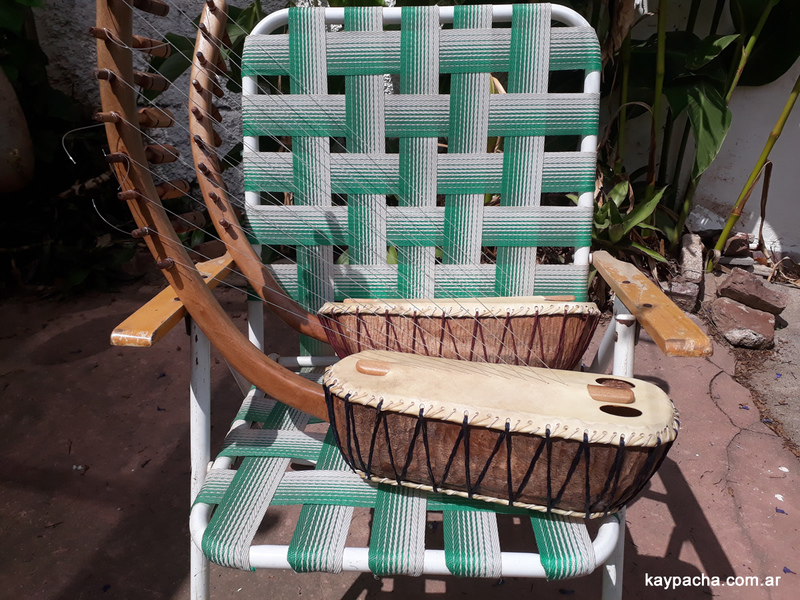 The adungu can be played alone and often with vocal accompaniment, or in a set of Adungus of different sizes and tunings. 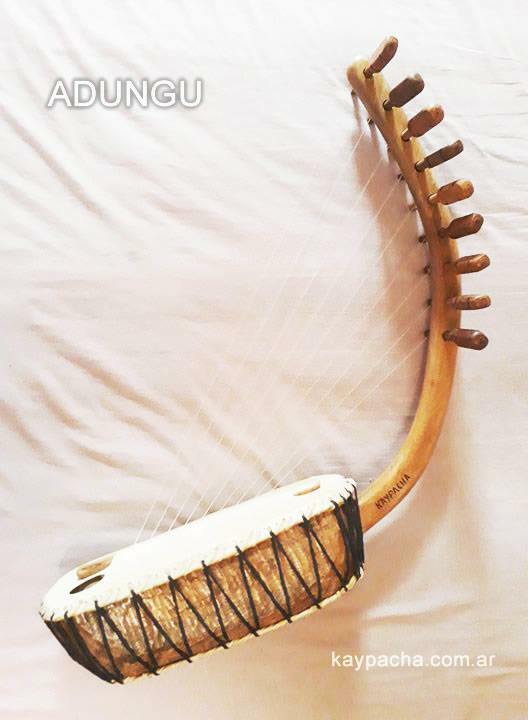 The physical structure of the Adungu derives from African origins. 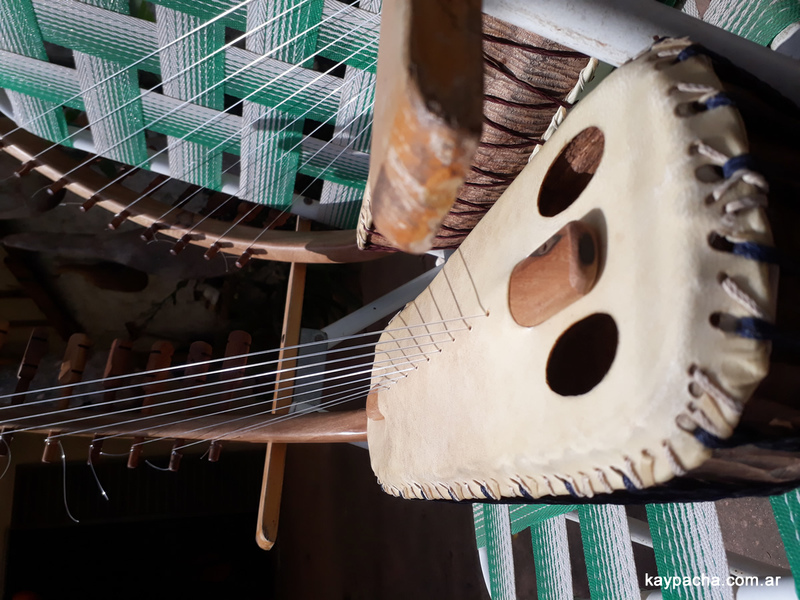 In spite of its African origins it is tuned in a diatonic scale of the European classic music to have the influence of the British presence in Uganda.